"I couldn't wait to see my pieces!". 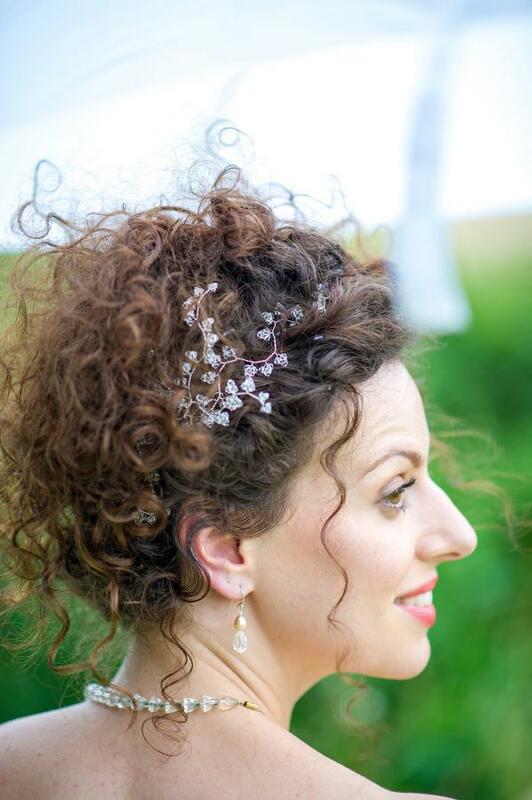 Nicola wearing her beautiful Crystal Hair Tendrils specially made by Hermione Harbutt. Photography by Nick Porter.